IT needs to reach beyond the traditional data center and the public cloud to form and manage a hybrid connected system stretching from the edge to the cloud, wherever the cloud may be. We believe this is leading to a new period of disruption and development that will require organizations to rethink and modernize their infrastructure more comprehensively than they have in the past. Hybrid cloud and hybrid cloud management will be the key pillars of this next wave of digital transformation – which is on its way much sooner than many have so far predicted. 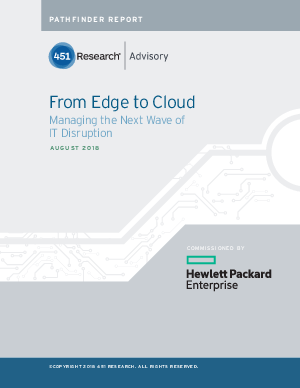 They have an important role to play as part of a deliberate and proactive cloud strategy, and are essential if the full benefits of moving over to a cloud model are to be fully realized.